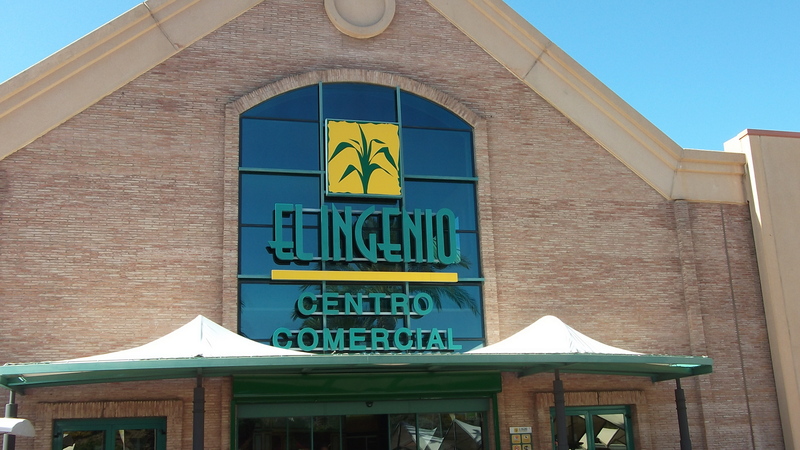 You can easily find the El Ingenio shopping centre if you take the exit at km 272 of the A7/E15, Autovia del Mediterraneo. 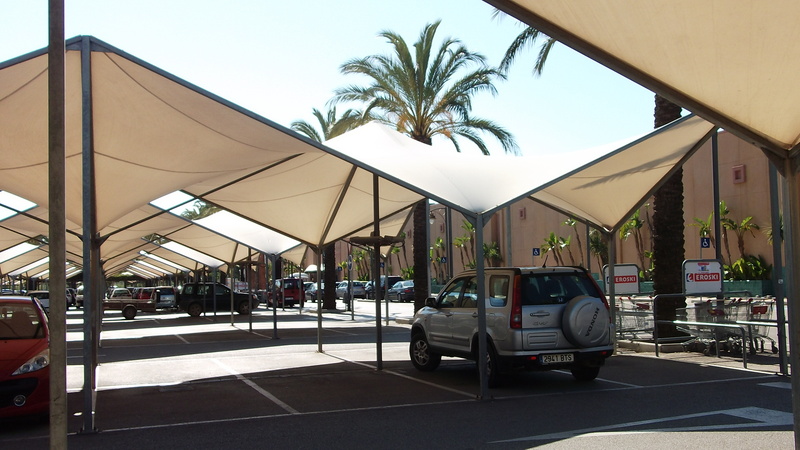 Free parking is plentiful, beneath large sails which offer shade from the heat of the sun. There is a good selection of shops spread over two floors including Zara, Pull and Bear, Primor, Calzados (for shoes) Dunnes (the Irish equivalent of Marks and Spencer), Casa, C & A and Bookworld (an English bookshop), plus many more. There is also a choice of mobile telephone shops as well as travel agents and a large supermarket – Eroski. 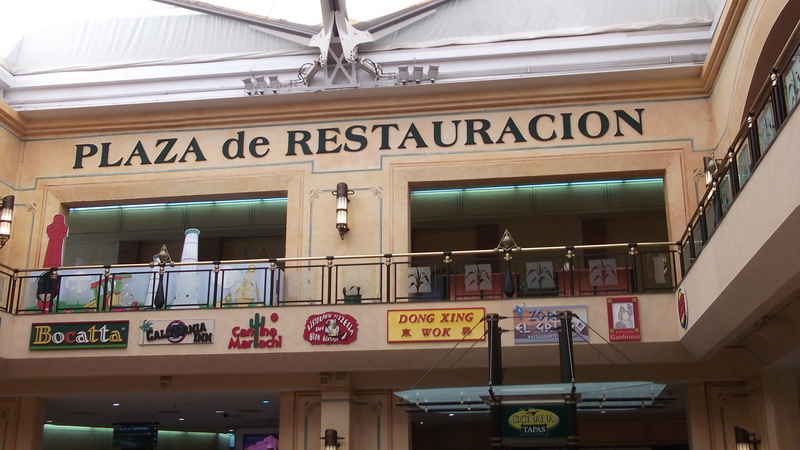 On the upper floor is the Plaza de Restauracion where you can sample any one of a selection of bars and restaurants, before going to see a film at the multi-screen cinema. A few years ago there was always an original version of a current popular film, but these days the films all appear to be dubbed into Spanish. That´s a pity, as it usually means that if we want to see a VSOE film we have to travel to Plaza Mayor, near to the airport in Málaga. Opening hours of the El Ingenio centre are 10am -10pm, Monday to Saturday – closed Sunday. Where is your shopping centre of choice? My “local” shopping centre (well, it´s a 100km round trip, but you know what I mean)!